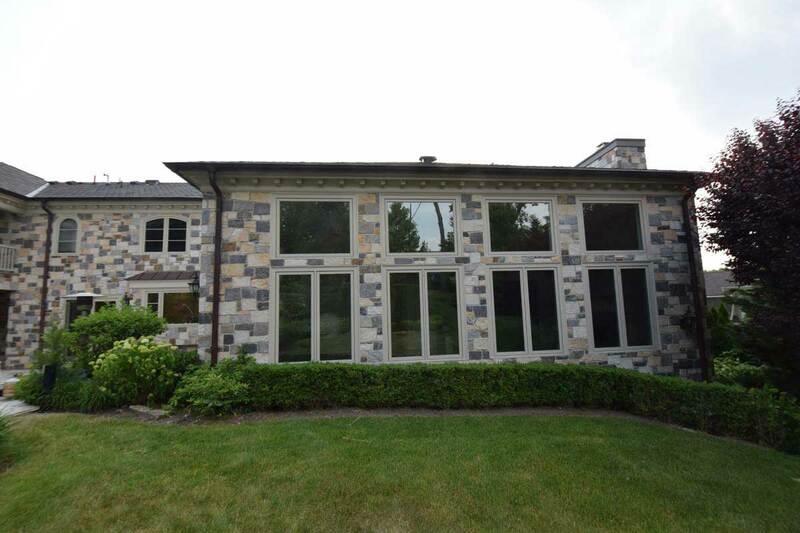 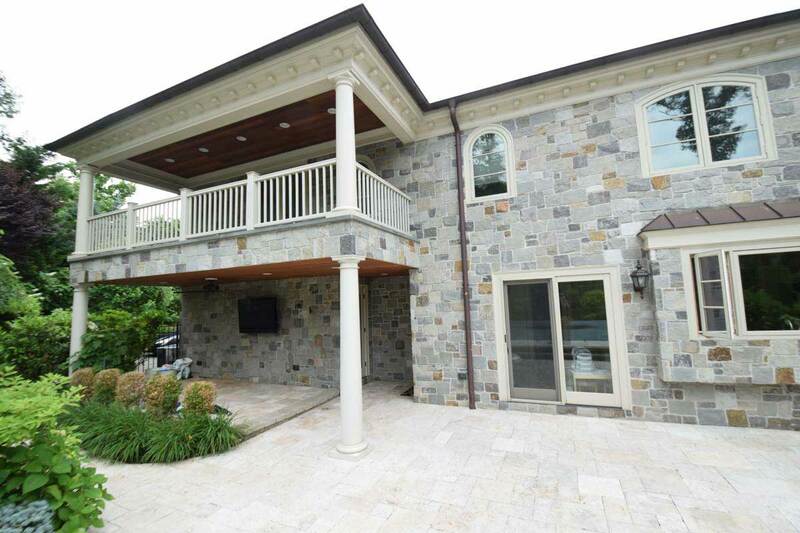 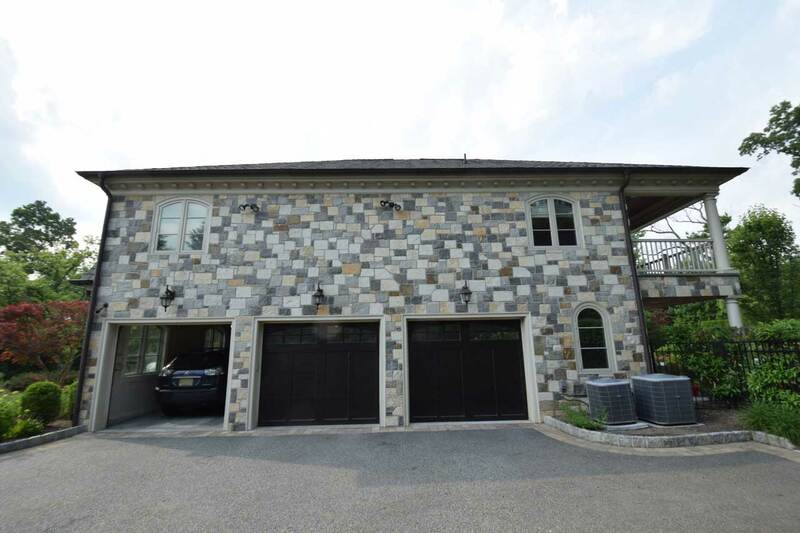 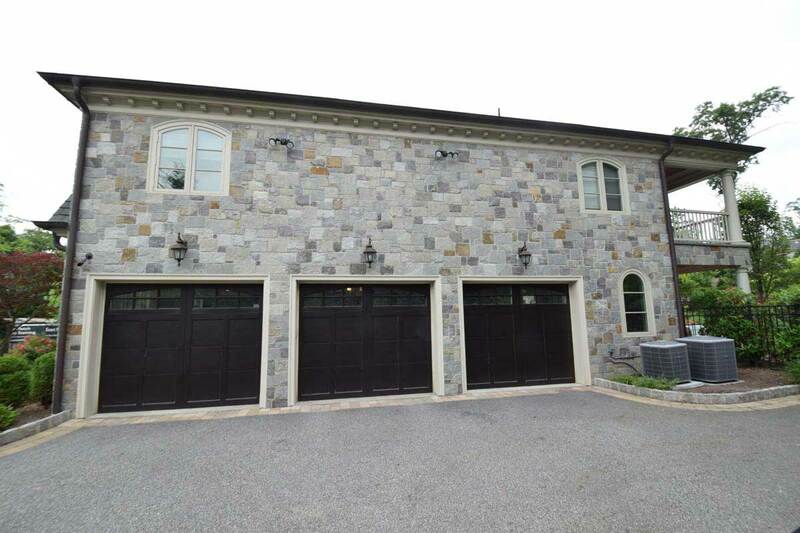 High contrast colors of natural stone on this home appealed to the original owner, but was not pleasing to prospective owners when the home was placed on the market. 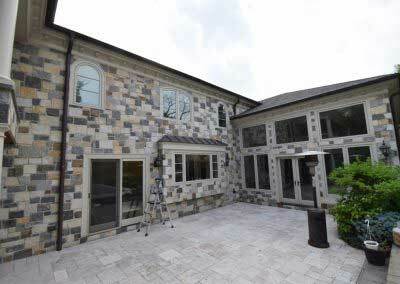 To many who viewed the home in comparison with other homes on the market nearby, they felt it appeared as a “checkerboard” pattern. 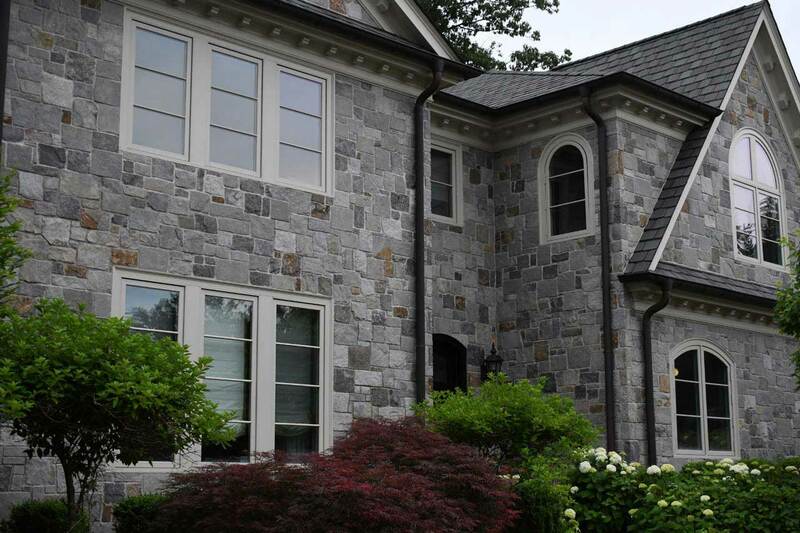 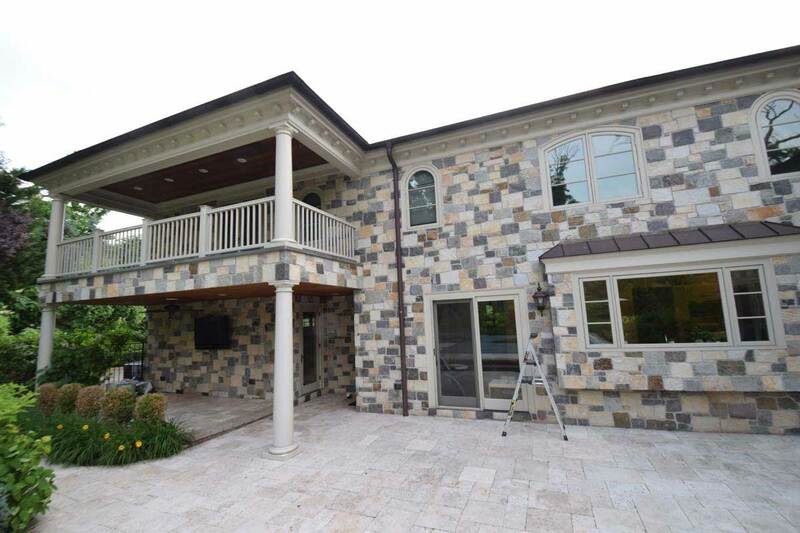 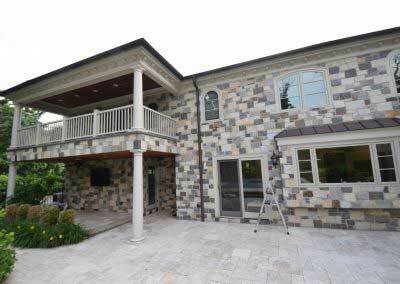 After researching the option of transforming the color of the home to any natural stone look he wanted, the owner decided to make the purchase, knowing that he could transform it to his dream home with our help. Flawlessly neutralizing and transforming rust, tan and other undesirable tones in natural stone is our area of strength. 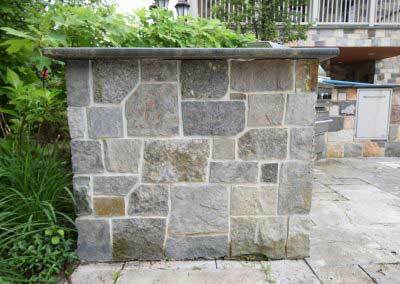 Unsightly veining and other unattractive ranges of color in natural stone may present themselves unexpectedly as well. 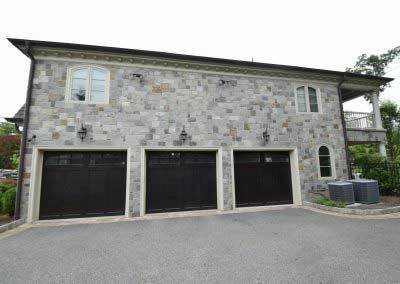 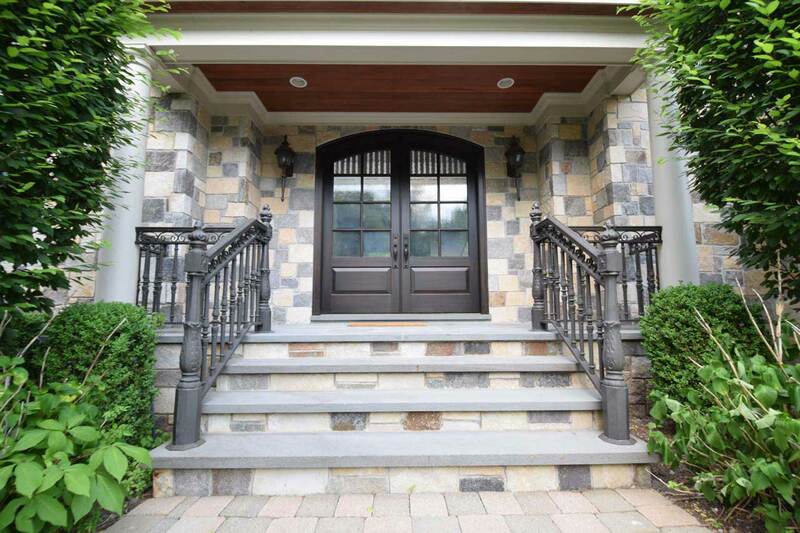 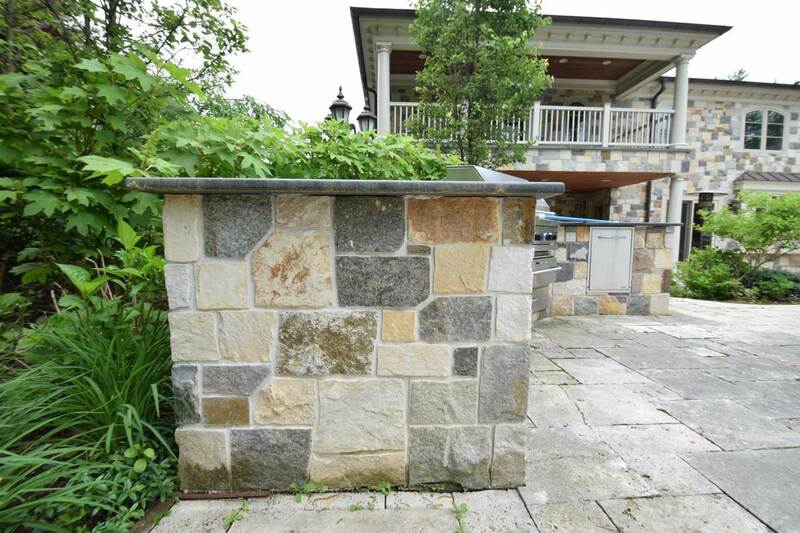 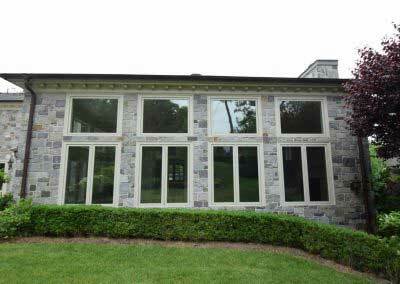 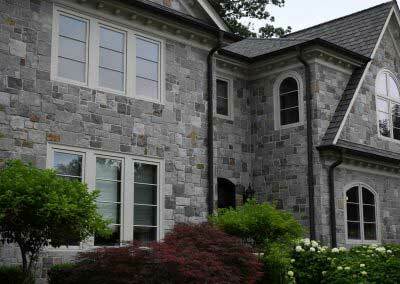 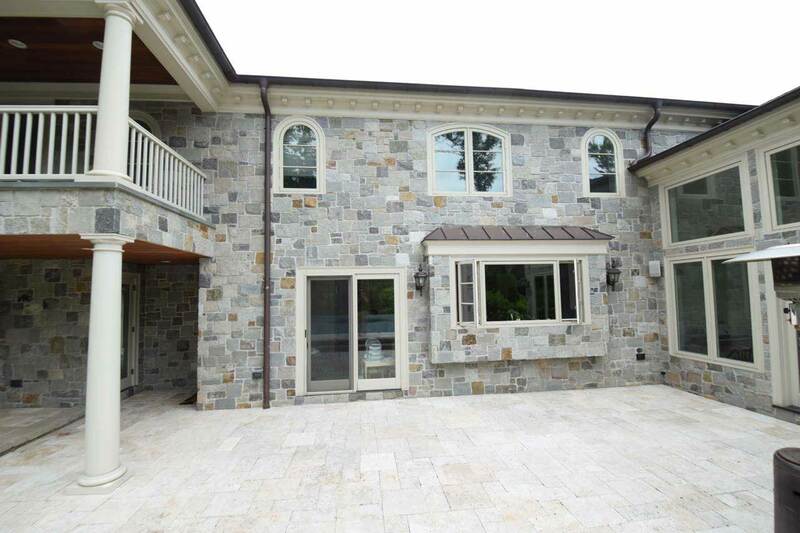 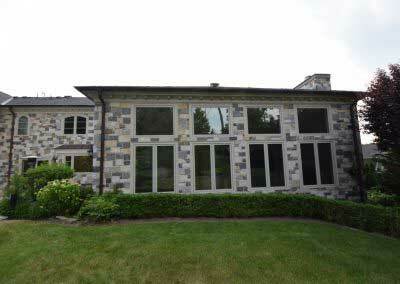 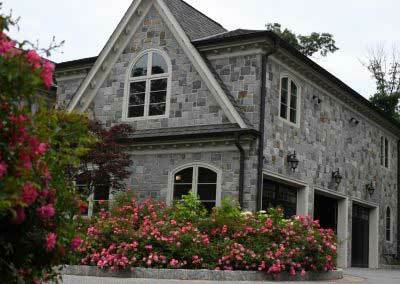 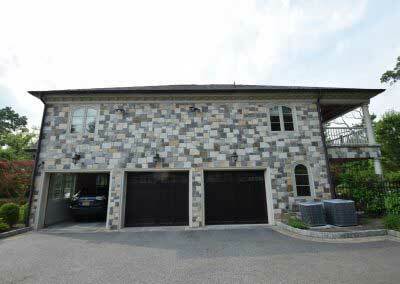 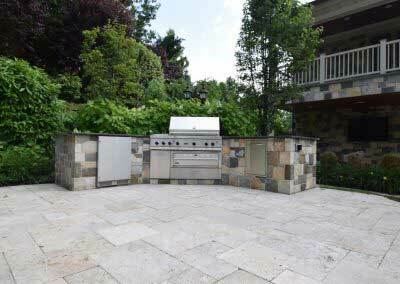 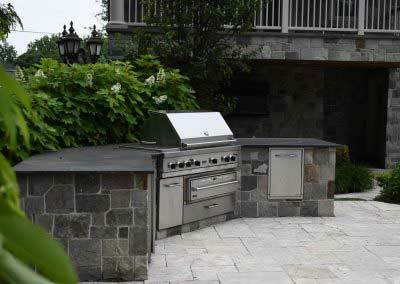 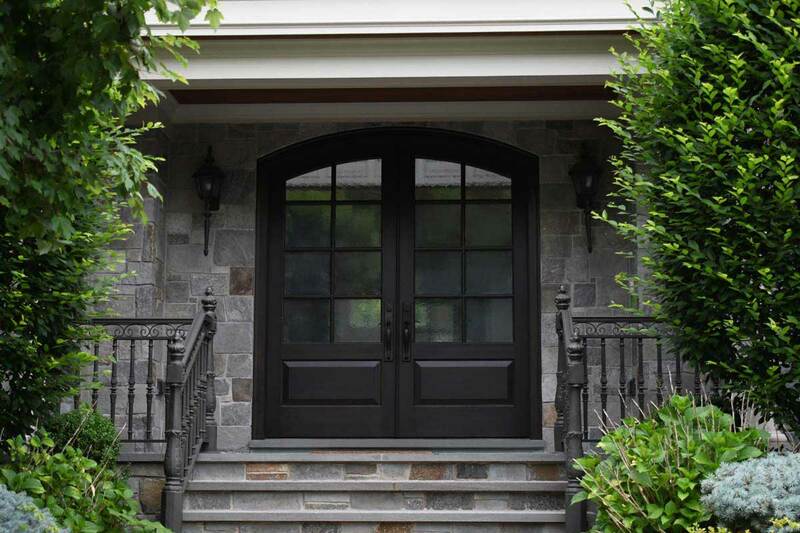 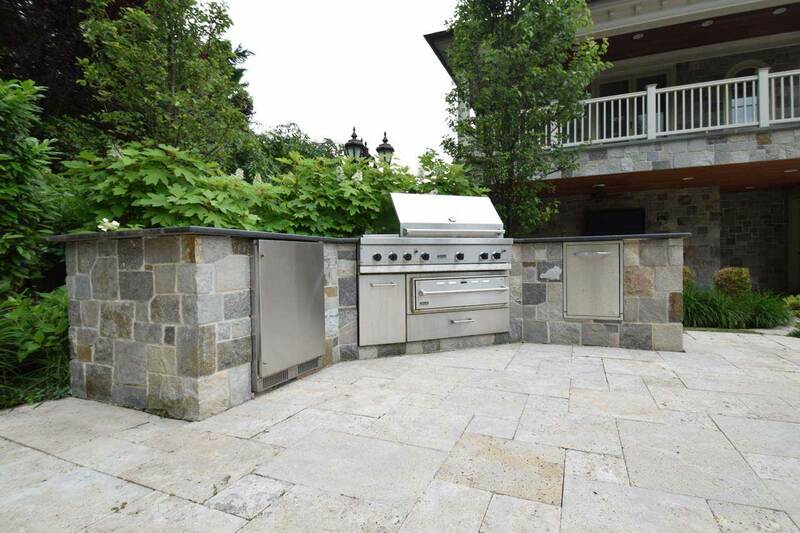 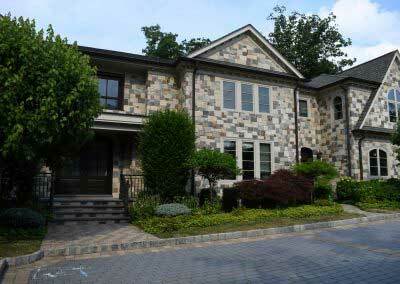 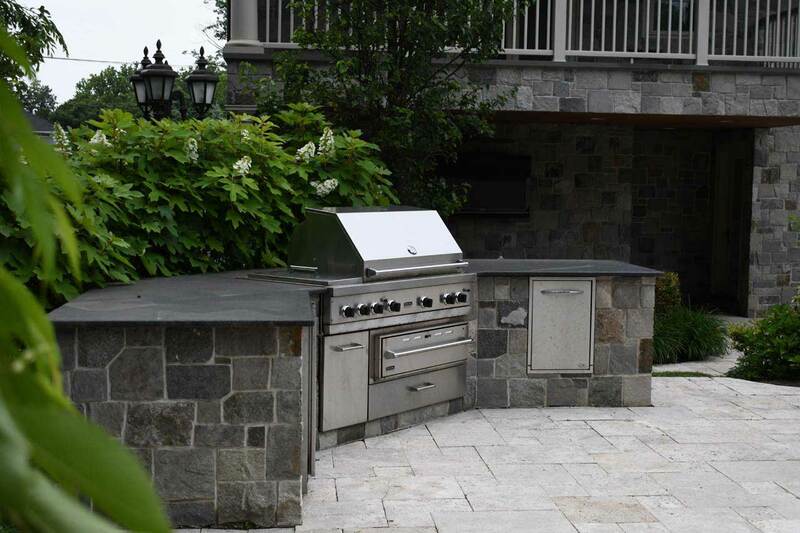 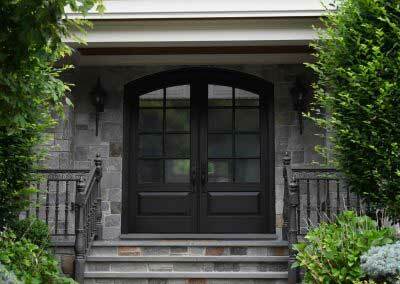 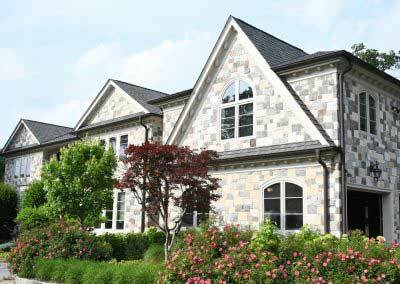 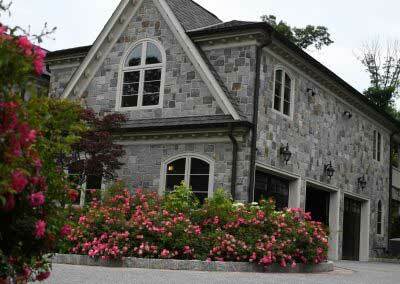 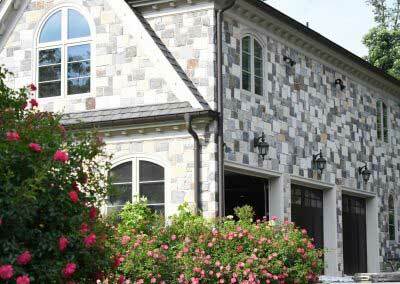 When contrasting stone is displeasing to the eye, call us for the solution, guaranteed. 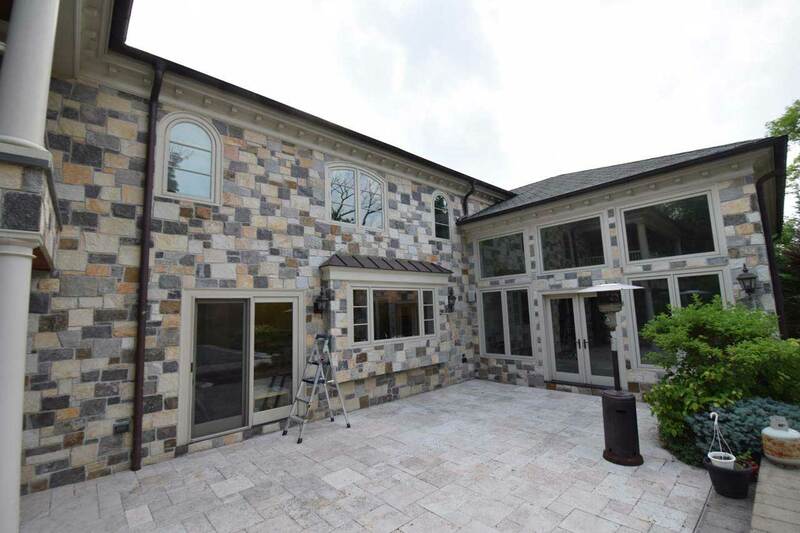 White stones were darkened, and orange stones were neutralized, and in their place, nuances of beautiful, custom, natural gray were added in to the customer’s complete satisfaction. 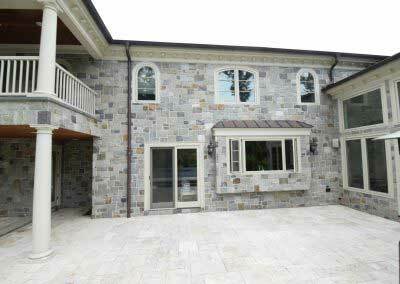 The homeowner planned the project ahead of closing, and then carefully scheduled the work to commence shortly after move in. 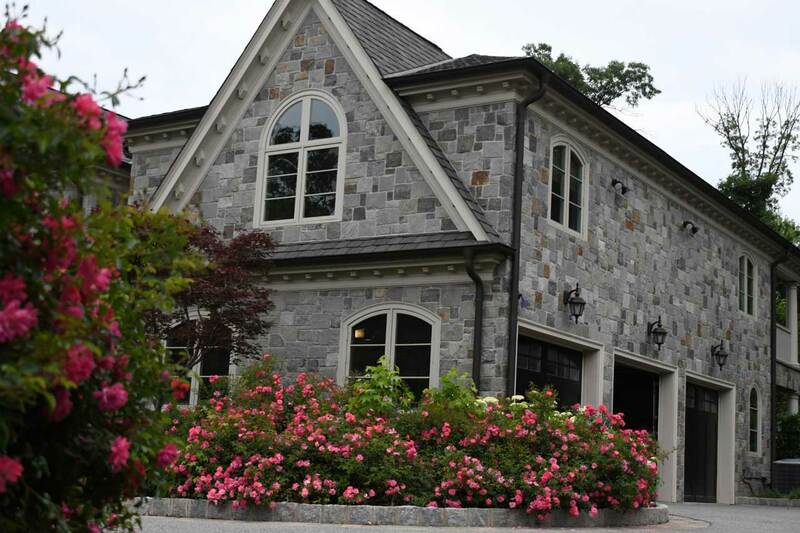 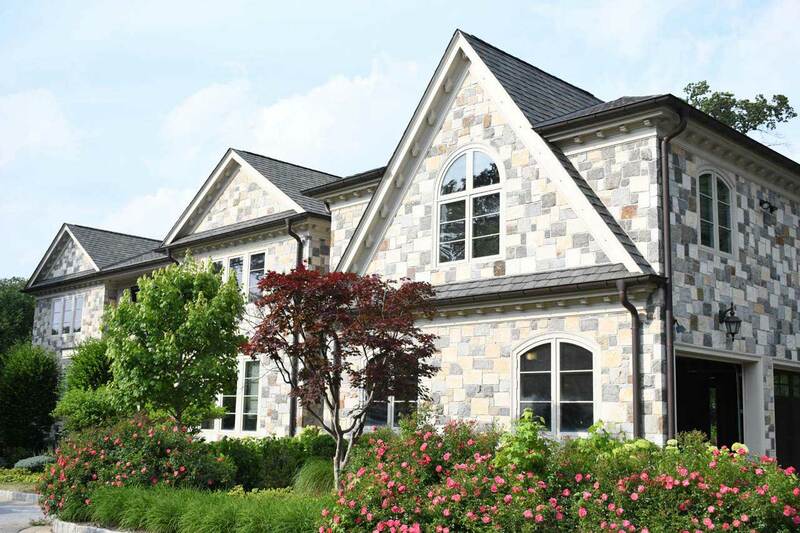 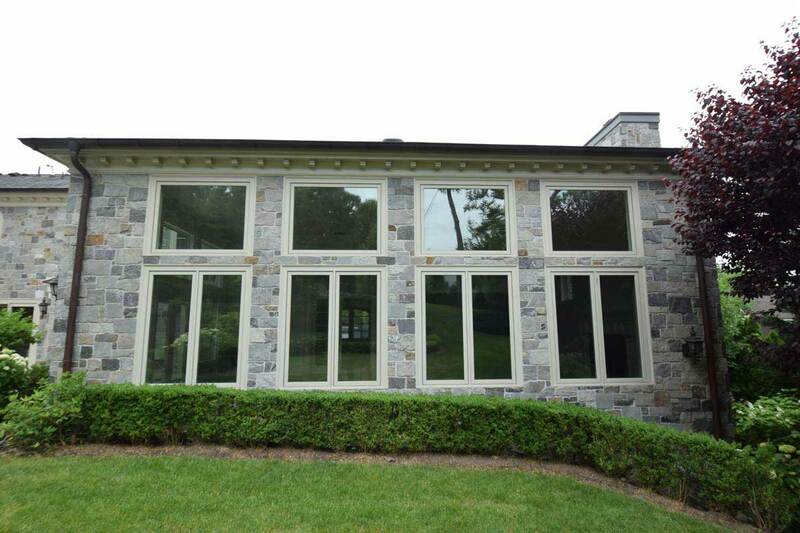 Within days, with no demolition or risk to surrounding substrates with our non-invasive process, this lovely stone home was transformed with precision to exceed his expectations. 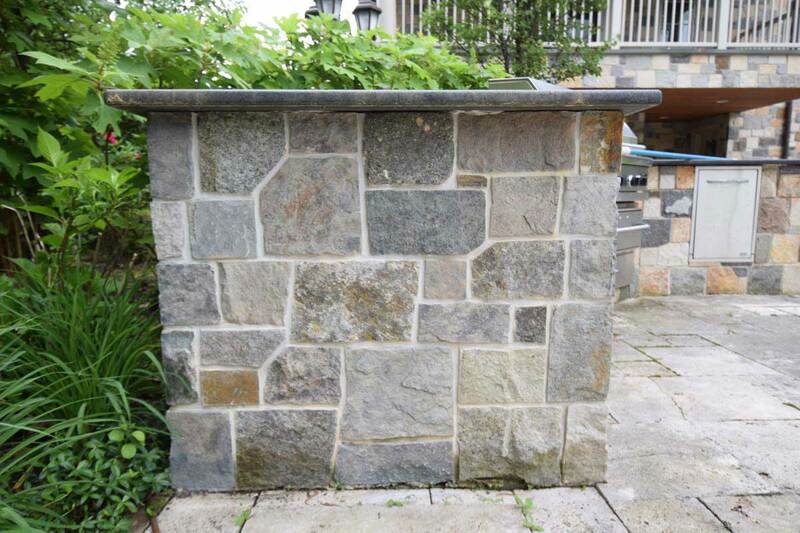 When natural stone is enhanced by our expert team, all unsightly color variations are neutralized, and the results provide owners exquisite results without any compromise in color design. 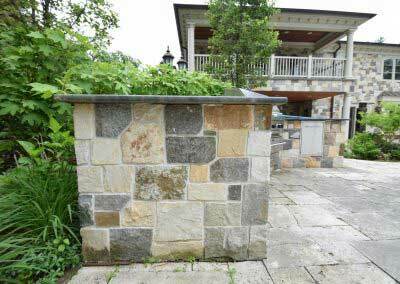 There are no drawbacks to our process, as natural stone is further fortified to resist mold, mildew and other organic contaminants, but is otherwise only changed in color. 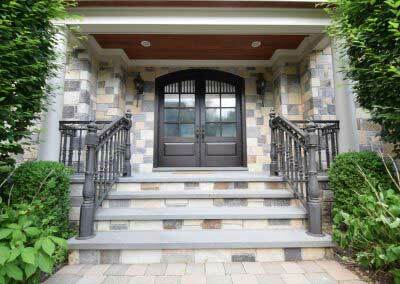 Stunning results are guaranteed.